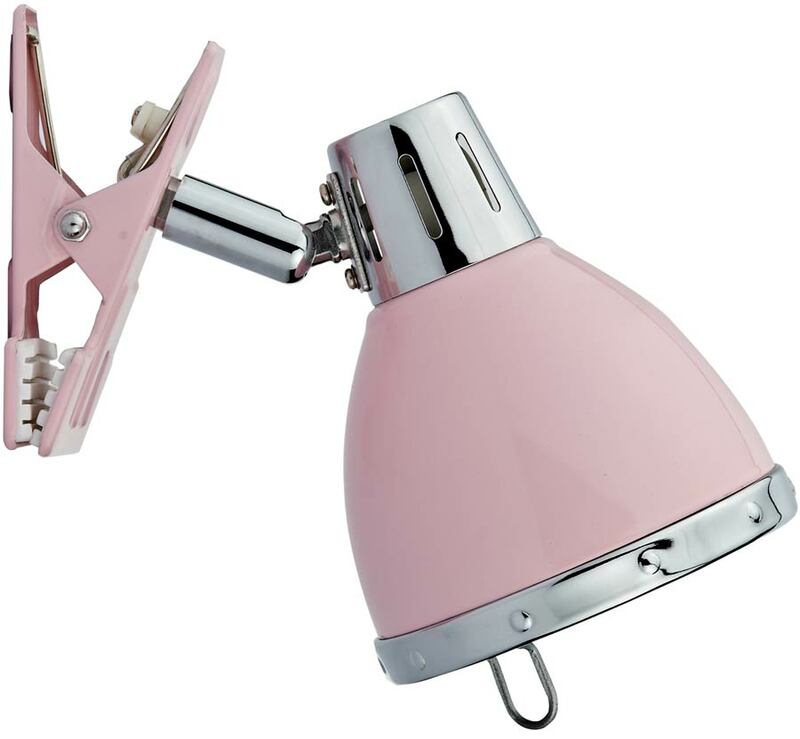 This Dar Osaka gloss pink clip on spot light with chrome trim features retro style, is adjustable, portable, versatile and bright. A fantastic choice for keeping in the cupboard and using in the loft, garage, workshop or shed. In fact it can be used just about anywhere there is a socket to light up any task. Domed ventilated gloss pink shade and riveted polished chrome band attached by an adjustable swivel to a crocodile clip. The head is able to rotate 300° and tilt up and down so you can direct the light just about anywhere. The strong clip is lined with plastic to stop unwanted scratches on any surface. Supplied with 160cm of clear cable, three-pin plug and handy inline rocker switch so you don’t have to keep switching at the socket when not in use. A class 2 double insulated portable spotlight no earth required. Also available in a variety of other finishes and colours please enter Osaka clip on spot light into the search box. Dar lighting is widely recognised as one of the leading suppliers of a full range of innovative, quality lighting products such as the Osaka gloss pink clip on spot light you see here.